Lean Six Sigma Green Belt certification holders can elevate their knowledge and skills in Lean Six Sigma to achieve the highest level of certification; the coveted Black Belt. Team leaders, managers and administrators of Lean Six Sigma organisations require this level of expertise to be able to perform their assigned duties successfully. The PD Training Lean Six Sigma Black Belt Certification Training Upgrade from Green Belt Course provides you with intensive training in every step of process improvement and waste reduction to empower you with true expertise in Lean Six Sigma philosophies. You will learn to have a greater understanding of process improvement to achieve successful projects within your organisation and prepare for the Black Belt certification exam. This highly significant and intensive training course is conducted across New Zealand, including Auckland, Wellington and Christchurch. Please click on the Public Class tab below to view our Lean Six Sigma Black Belt Certification Training Upgrade from Green Belt course schedule by city or click the In-House Training tab to receive a free quote for courses delivered at your preferred location. The PD Training/IASSC authorised training materials are much more than just simple tools training. This curriculum is formatted in such a way that the problem solving strategy is demonstrated throughout the course. 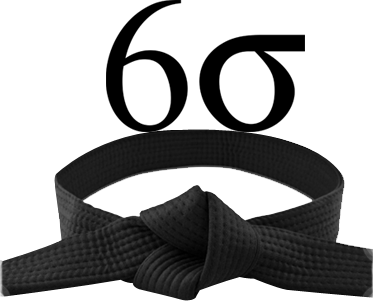 By utilising various Statistical and Business Improvement tools you will be able to clearly see and communicate the flow and process of the methodology in order to instill both the tactical and strategic aspects of the LSS Black Belt skill set. The implementation roadmaps within each phase provide a clear line-of-sight for putting into practice the problem solving technology. Various group exercises, utilising training aids, pre-formatted data sets and templates, facilitate interactive group learning within a class. These IASSC authorised training materials are the industry standard used by thousands of industry trainers, coaches and mentors to train Lean Six Sigma Black Belts around the world.